In the language of the Zulu word Jabulani means "to celebrate". The ball is in the South African style. Jabulani comprises eight external structural panels interconnected by a heat seal technology, which increases the accuracy of the strikes. The design of the 11th ball of the model created by adidas 11 different colors were used for the world championships. These colors represent the 11 players in every team, the 11 official languages of South Africa and the 11 South African tribes. The name of the + Teamgeist ball founders wanted to remind you that one of the most important compon.. In the summer of 2014 players will play at the World Cup in Brazil balls Brazuca. The design of the .. 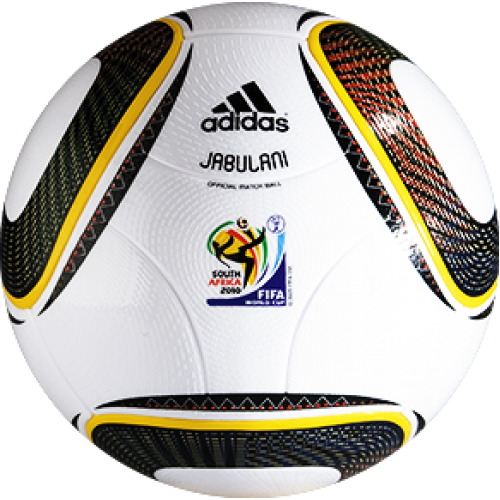 This European Cup Ball 2008 did the football balls revolution again: football first in the worl..